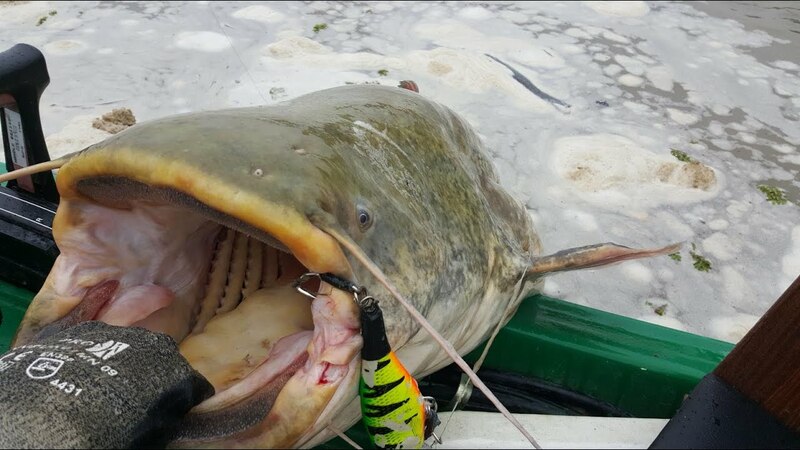 In German rivers and lakes, many large catfish have grown in recent years. The large predators that can be targeted fishing. A variant is the tapping of the boat with water wood and installing buoys. 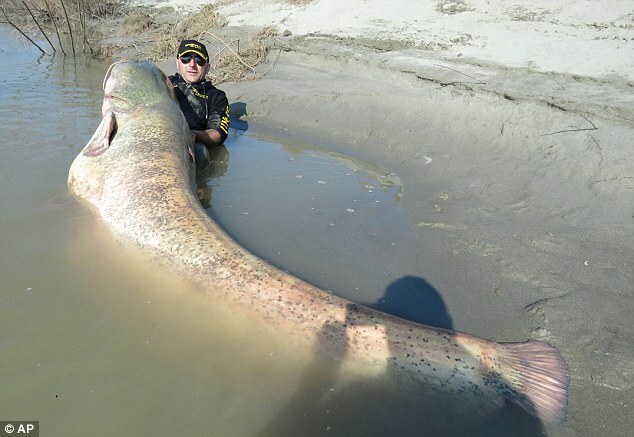 This be true giant catfish out of the water on the river Po in Italy and the Ebro in Spain. You should use a Waller wood at a water depth of about five meters. A SCHEUCH effect has remain on the square a Waller wood not and even carp. 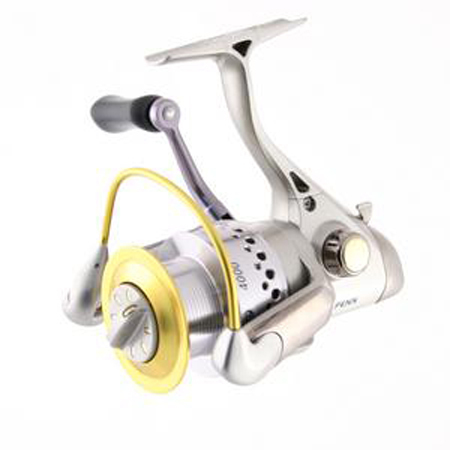 In Germany, to start the most Catfish with spin fishing or the bottom fishing with a dead bait fish. To get a giant catfish on the hook, you can offer a big bait fish at the bottom. With the Posen Assembly and as bait a worm bundle, is presented the best in the mean sea level. So no other predator can erode the bait such as crabs, because catfish hunt not only at the base. 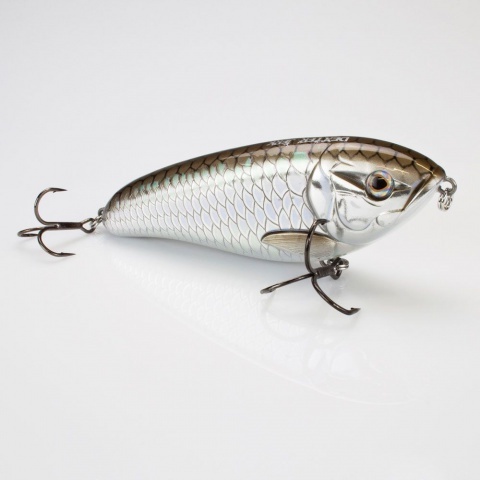 A top bait on Waller is a Tauwurmbündel together with a bait fish. The fish is hooked the tail root and up to six Nightcrawlers are impaled on a 8/0he hooks to do so. The squid fishing for catfish is an excellent bait, which also frozen works. The natural bait keeps very well on the hook and belongs to a few baits you can well catch a catfish in corrupted state.Also pellets are extremely good catfish bait, which caught big catfish on the Ebro river in the last few years. You can also in German waters, but only after a long intensive indication pellets for fishing for catfish. What month and day to fish for catfish? You can catfish fishing in all months, if the water temperature is 6 degrees or higher. As far as the time of day, you can start successfully a catfish in deep holes on the day. At night, it is better to knock the edges of shallow, because then the Waller leave the depths and go looking for food. Boat fishing for catfish is forbidden only the spin fishing remains one. Good bait for catfish are bait fish or squid on the Drachkowitch system.